Double All-Ireland winner Eamon Burns is the new Down football manager after his appointment was ratified by the County Committee on Thursday night. Among the other new appointments announced was the return of former boss James McCartan to the intercounty scene as manager of the minor team. 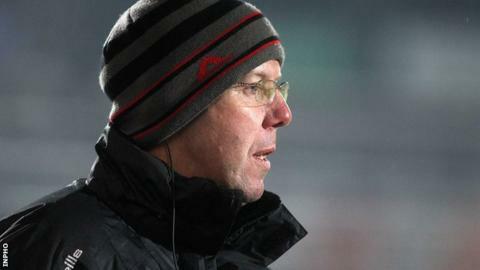 Burns won All-Ireland medals with the Mournemen in 1991 and 1994 and was a selector under McCartan for two years. The make-up of his backroom team will be confirmed next week. Burns was a central figure in the Down team which enjoyed All-Ireland success twice in the space of four years, initially scoring two points from play at midfield as the county bridged a 23-year gap to reclaim the Sam Maguire Cup. He has managed his home club, Bryansford, in recent seasons, having also had spells at the helm with Ballymartin, Darragh Cross and Tullyish. "Eamon will undoubtedly bring the same degree of commitment and passion to the job as manager as he did when he was a player and we wish him well," said County Chairman Sean Rooney. Down will play their league football in Division One in 2016, with home games against Dublin, Kerry and Donegal, while they have been drawn to face Monaghan in next year's Ulster Championship. The County Committee has also ratified an eight-member Steering Group for the Mourne County GAA Academy under the chairmanship of All-Ireland winning captain Paddy O'Rourke, plus the retention of Frank Dawson as Under-21 manager. Bryansford clubman Burns takes over from Jim McCorry, who resigned in August after a year in charge. McCorry stepped down after leading the county to promotion to Division One before losing both championship games to Derry and Wexford.